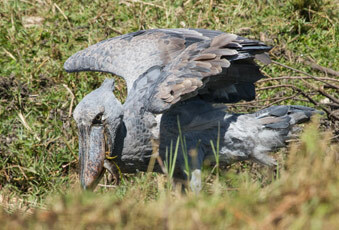 The shoebill is a very large stork-like bird now classified as a relative of the pelicans. 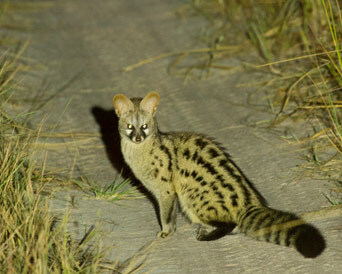 Its name comes from its massive shoe-shaped bill and it lives exclusively in large swamps from South Sudan, SW Ethiopia to South DR Congo and Northern Zambia. 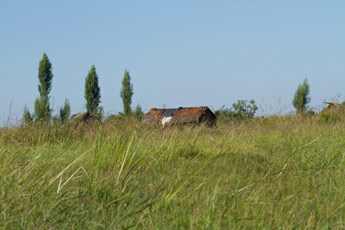 A recent survey of the Bangweulu Swamps in Zambia found that there are at least 1300 birds in the swamp; but despite this its current status is regarded as vulnerable due to habitat destruction and human disturbance, with chicks being removed from nests (to be sold) as the main cause of breeding failure in Bangweulu. 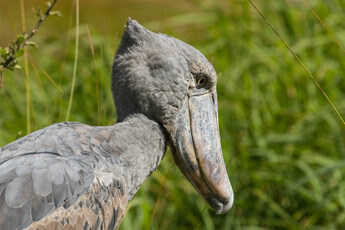 Along with the African Pitta, the Shoebill is one of Africa’s 'most wanted' birds; so we set up a special safari to try to find the bird for a good friend and avid birder, who regularly travels with us. 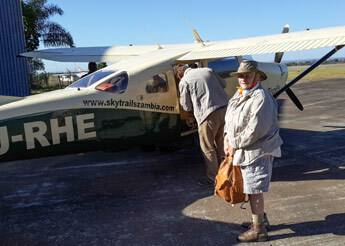 Rory McDougall, owner of Bedrock Africa Birding, joined us as the local expert and we flew from Lusaka into Kasanka National Park as our first destination. Best known for its phenomenal bat migration in November and December, the Park is home to an amazing variety of unusual birds and mammals, and an added bonus was the chance to go into the field with resident ecologist Frank Willems. 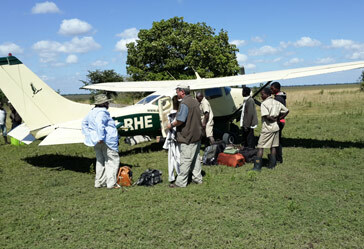 A 2-hour charter flight took us directly into the park headquarters at Wasa Camp. 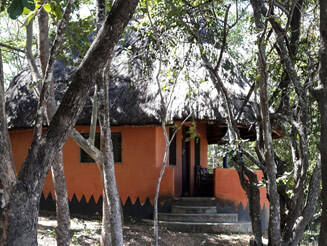 The accommodation is in basic but comfortable chalets. 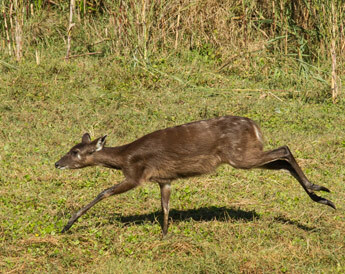 Kasanka is probably the best place in African to see the unusual Sitatunga, a swamp dwelling antelope so difficult to find elsewhere. 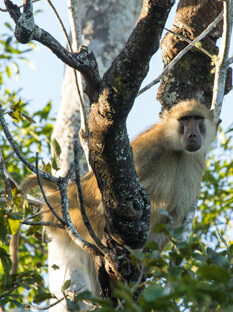 We were able to photograph all stages of this animal, from adult males through to a tiny calf. 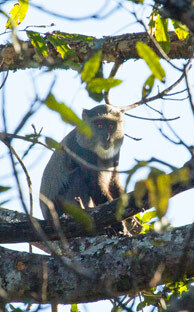 Other major bonuses was the chance to photograph two new species of monkey (Malbrouck’s and Blue Monkey), the Kinda Baboon and the Miombo Genet. Although we were specifically on the hunt for new bird species, we still managed a total of 181 species for the whole safari; and I was thrilled to find 11 'lifers' - or new birds- to add to my list, most of them recorded in Kasanka. 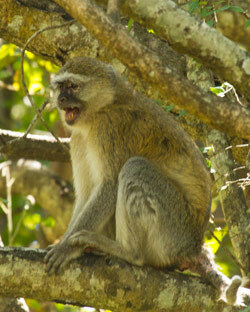 The predominant woodland is Miombo and needless to say many Miombo species such as Black-backed Barbet, Miombo Blue-eared Starling and Bohm’s Bee-eater were prevalent. 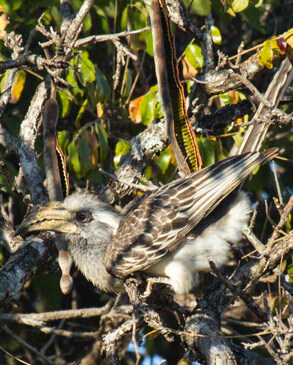 New species included Pale-billed Hornbill and Purple-throated Cuckooshrike. Various species of Greenbul (a bit of a nightmare group unless you know their calls) were common but virtually impossible to photograph as they remained deep in the thickets. 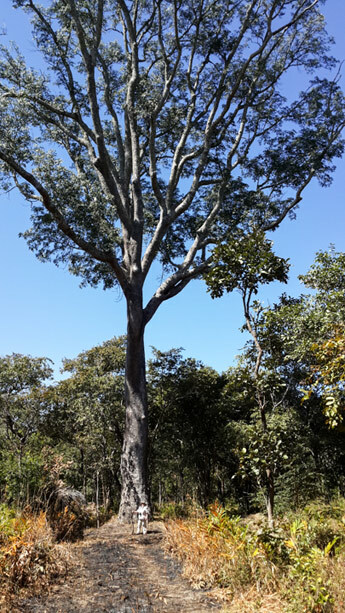 We visited the Bufuma evergreen forest where we saw the tallest tree in Zambia – Entandrophragma delevoi at 65 m in height. 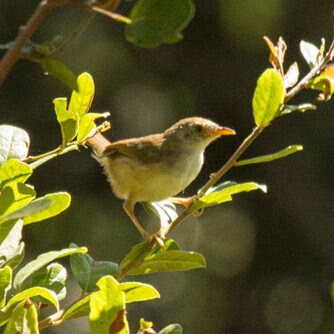 The forest was a haven for more elusive greenbuls and other species and we did get photos of Blue-mantled Crested Flycatcher and Trilling Cisticola (its distinctive call ensured identification). All too soon our time at Kasanka was over and we took the short flight to the Bangweulu Swamp - with great views of the huge number of Black Lechwe that spend the day on the open area next to the airstrip. There are an estimated 50,000 lechwe in the immediate area and they are restricted to the swamp and found nowhere else in Africa. 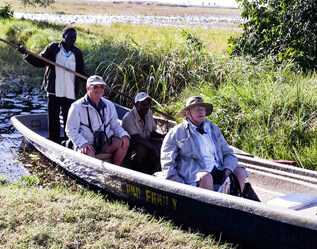 Travel throughout the swamp is by boat only at this time of the year (only the foolish would ignore this and we heard of one who got firmly stuck; and during the night the resident hyaena’s chewed three of the vehicle's tyres!). Two polers were allocated to our boat and as we slowly made our way from the airstrip to camp, it was total bird overload, we did not know where to look first with the huge numbers of different species both left and right. 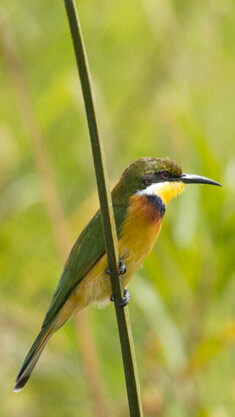 Waterbirds of all descriptions, large numbers of Wattled Cranes; and many Blue-breasted Bee-eaters (formerly known as White-cheeked Bee-eaters) were the first new ‘ticks’ for the area. 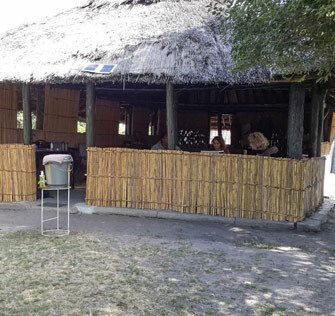 Shoebill Camp is very remote and accommodation is quite basic but the staff do an amazing job looking after guests and producing excellent food. At this time of the year absolutely everything has to be flown in - a planning and logistical nightmare! Our first afternoon was spent boating around the area of the camp trying to get photos of, amongst others, Lesser Jacana and Hottentot Teal, both of which are extremely common. 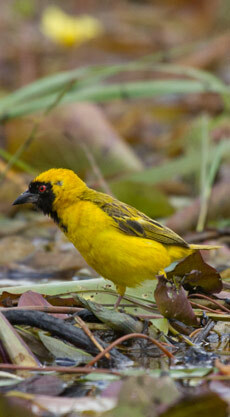 A new species was Katanga Masked Weaver, also very common and virtually all of them were collecting food from the waterlily pads. 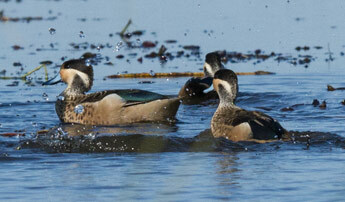 There were many chicks being fed by parents but we could not find any nests in the thick reeds that lined the waterways. Day two was a long morning boat trip to look for the Shoebill with plenty of stops along the way to watch a multitude of other species. Eventually one of the polers spotted the bird standing at the edge of a huge reedbed, and after some hard work through the thick vegetation got us closer and closer to the bird that paid little attention to us. A cause for great celebration in the evening! 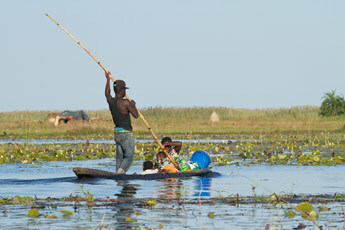 There is now a large population of fishermen and their families living in the area in rather basic conditions, but all seemed to be quite happy and we regularly passed individuals or families making their way through the waterways on their mokoros or dugout canoes. Our third day took us back to the airstrip to spend time photographing the Black Lechwe and getting more photos of Wattled Cranes, as well as Swamp Flycatcher and Rosy-breasted Longclaw. 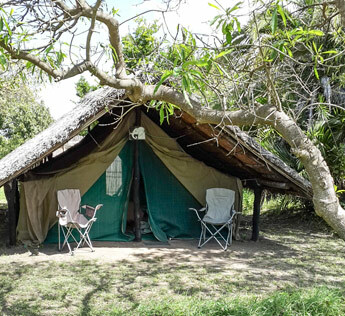 The camp itself is located on a patch of high ground that does not become flooded, and the trees around the camp are a haven for many species of woodland bird with the Greater Blue-eared Starling by far the most common. An amazing Yellow Ipomoea covers much of the ground amongst the tents.